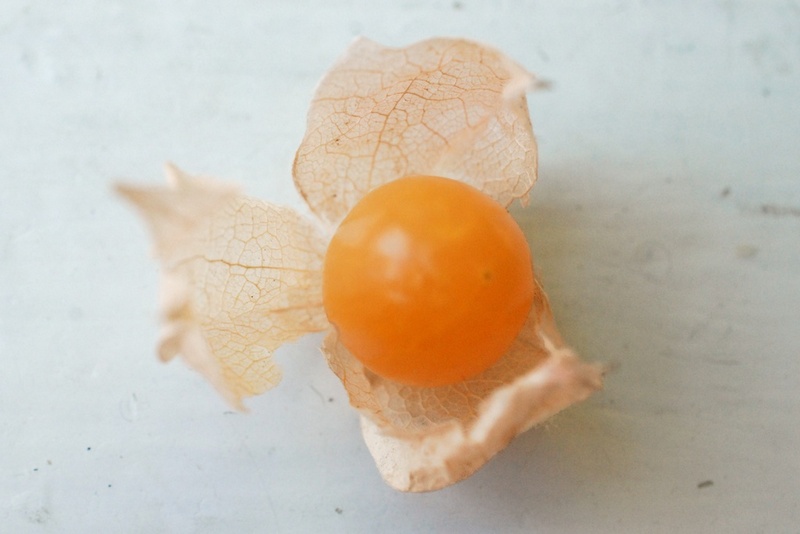 I received a punnet of husk cherries a few weeks ago in my CSA box (their season is September-October around these parts), and I’ll be honest with you; upon first inspection, I didn’t really know what they were. I’d seen them a few times before, adoring desserts in European restaurants, but in those cases I’d pushed them to the side of the plate–surely they were meant more for decoration than actual consumption? 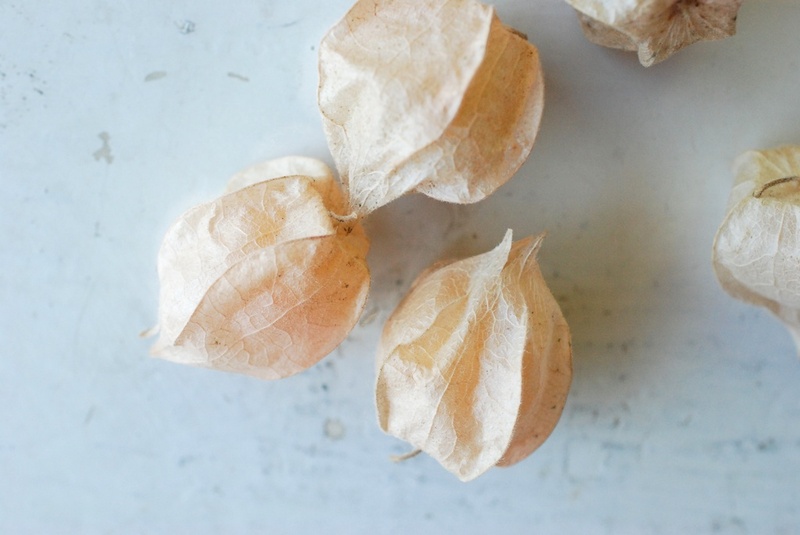 As it transpires, husk cherries (also know as Ground Cherries, Golden Strawberries, Chinese Lanterns, and in French as the very charming Amour-en-Cage, or ‘caged love’) are quite delicious. What’s more, their mild, sweet/tart/acidic flavor profile makes them complementary to both sweet and savory cooking. (I’ve heard their taste described alternatively as: pineapple, melon, tomato, and caramel. Best to try them for yourself and make your own judgements.) They also contain high levels of pectin, making them easy to stew into jams for myriad purposes. 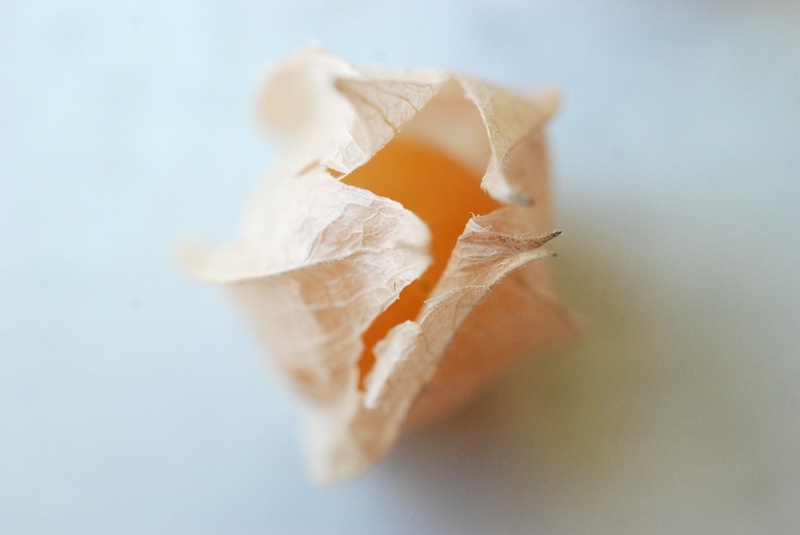 The husk cherry itself, when ripe a glowy amber gem about the size of a marble, comes swaddled in paper wrapping the color of parchment, thin as bible paper, and prettily veined like moth’s wings. 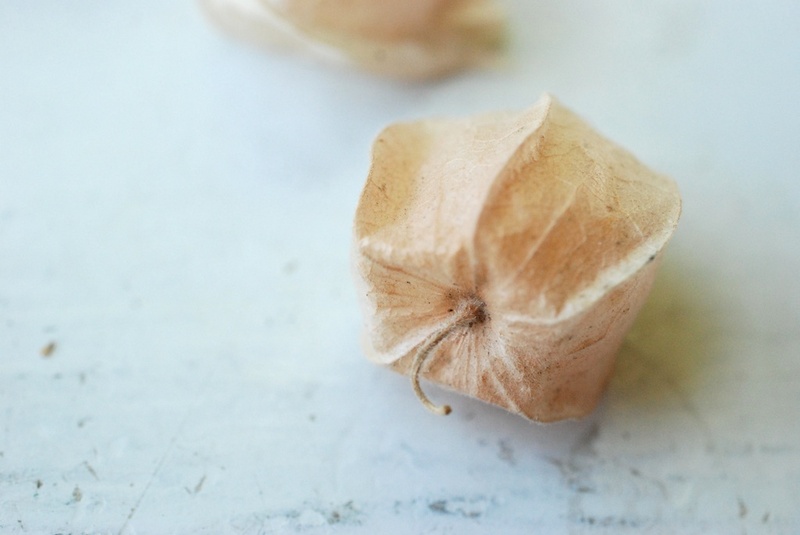 Once you remove the husk, you can pop the fruit straight into your mouth, or add them raw to salads or desserts. Of course, there are also plenty of ways to cook with them. Heat the oven to 425F. Put a baking sheet in the oven to heat as you prepare the ingredients. Add about a cup of husk cherries (husks removed) to a small pot with a little butter, sugar, and a few tablespoons of water. Cook over medium heat for about 5 minutes, or until the fruit starts to break down. Meanwhile, lay a sheet of puff pastry on a floured surface. 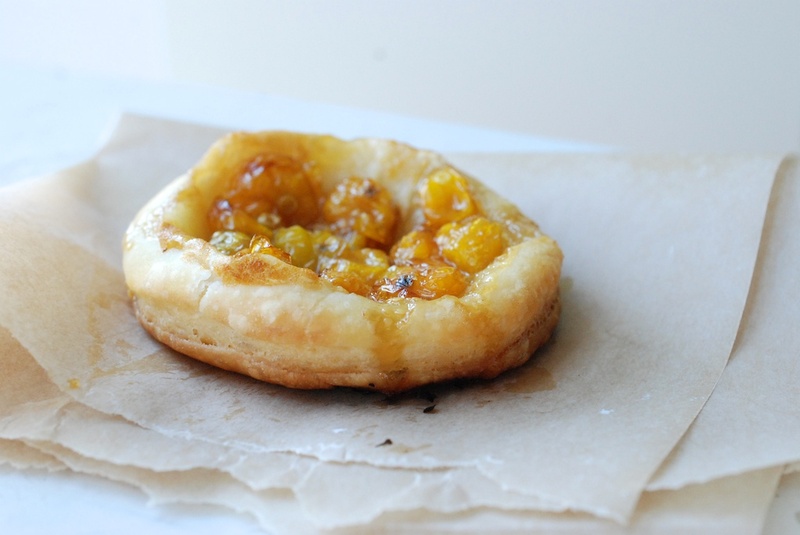 (You can use puff pastry from the freezer section of the grocery store.) Use a circular cookie cutter (or a sharp-rimmed cup) to cut out as many circles as you can. “Score” (or make shallow cuts) a circle on each pasty wheel, about 3/4″ from the edge. 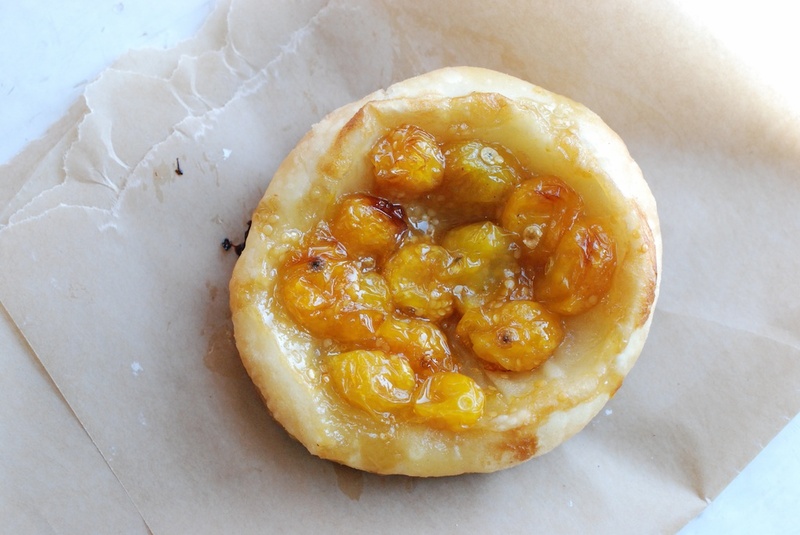 Fill the center of each pastry circle with a large spoonful of the cooked husk cherries. Move the wheels to the hot baking sheet, and cook in the oven for 10-12 minutes, until the pastries turn golden. These can be made a few hours in advance, and work well for a party. Toast a few slices of good bread. De-husk some husk cherries (a small handful per piece of toast), and slice them in half. 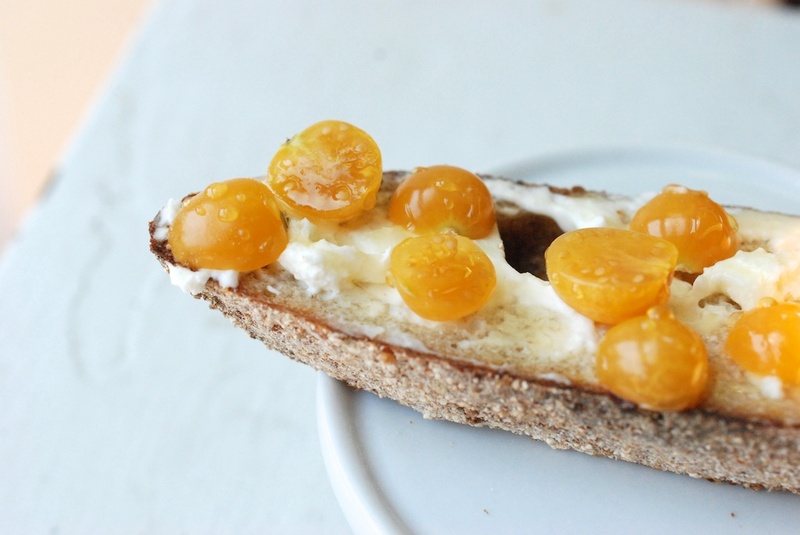 Smear each toast generously with goat cheese or some cream cheese, and then scatter the husk cherry halves across the toast. Drizzle the toasts with warmed honey. Cook up some sausages (duck, if you can find it, otherwise pork). You can grill the sausages, or cook them in a pan. Meanwhile, saute a white onion with a little olive oil, salt and pepper, over medium-low heat, until the onion turns translucent. At that point, add about a cup of disrobed husk cherries. 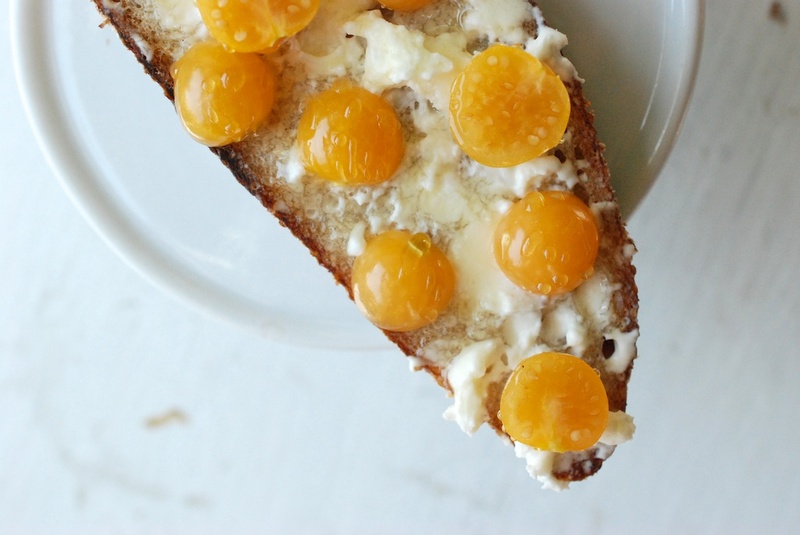 Cook the husk cherries with the onions, until the former starts to bread down. 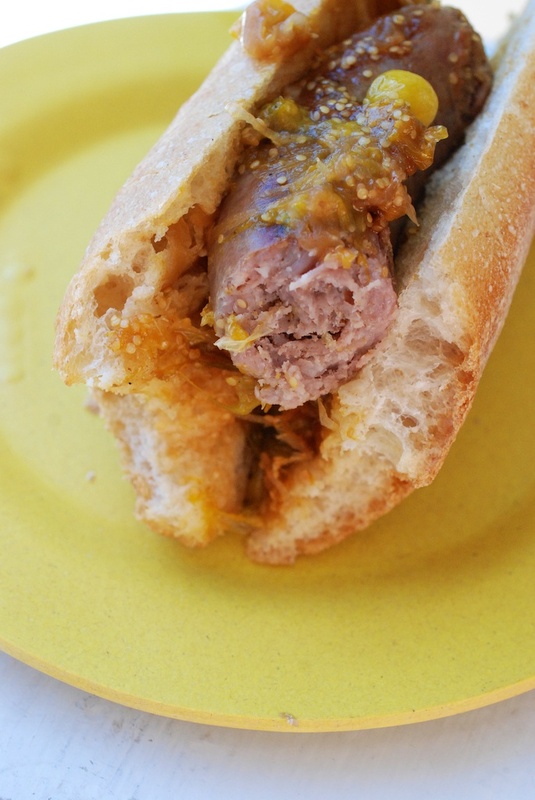 Meanwhile, split a baguette down the middle, and then further cut it into sausage-length pieces. 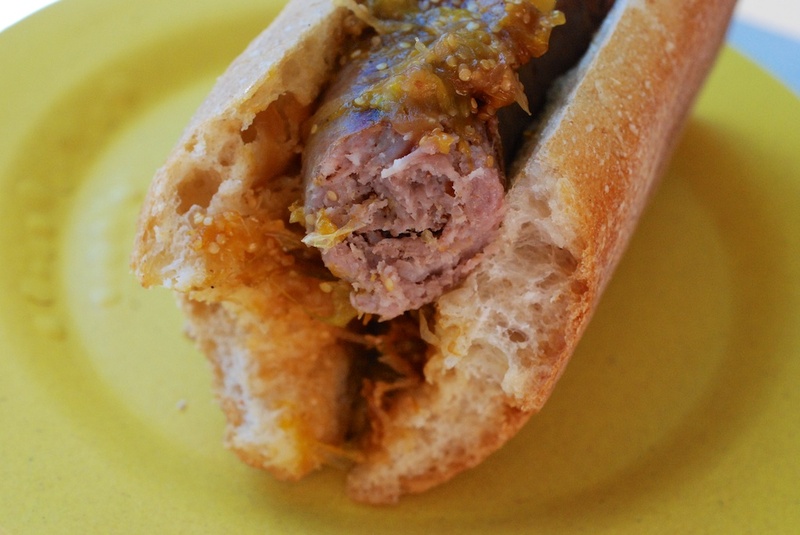 Assemble the sandwiches: one sausage and a generous spoonful of onion/husk cherry per baguette piece. Enjoy warm. I have also had them as a garnish many times when in Europe (though I always eat them). Now I am inspired to bake, toast and saute them! Hi Carolina, I don’t know that dessert, but I bet husk cherries would be delicious simply dipped into meringue. Or, you could use them for a pavlova. I just found these at a Farmer’s Market in south Jerz today! I’m glad I found these recipes Can’t wait to try them. Needless to say, I am in love with these little guys. Thanks! I don’t! I’m not familiar with that ingredient.